November, 25, 2009. 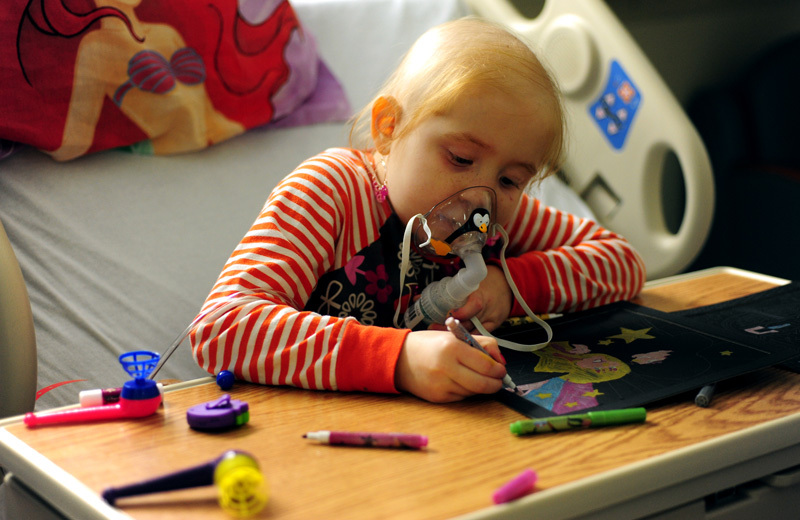 Stonybrook: Six-year-old Julianna Buttner ignores the breathing aparatus she wears during an oxygen treatment while she draws in her hospital bed at Stonybrook Medical Center the day before Thanksgiving. Julianna needs a life-saving bone marrow transplant. Newsday photo by Mahala Gaylord. November, 25, 2009. Stonybrook: Lynda Buttner hugs her six-year-old daughter Julianna, who needs a life-saving bone marrow transplant. Mother and daughter rest in a cafeteria at the Stonybrook Medical Center the day before Thanksgiving after eating the hospital's Thanksgiving dinner. Newsday photo by Mahala Gaylord. November, 25, 2009. 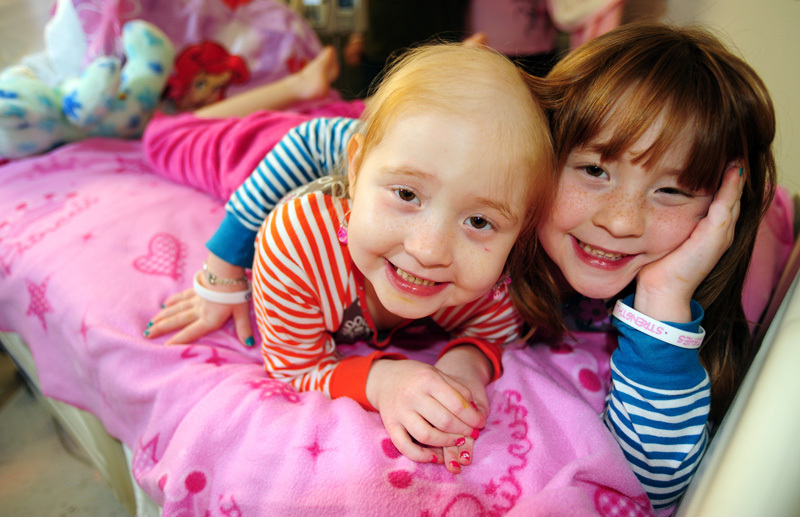 Stonybrook: Six-year-old Julianna Buttner, left, and her twin sister Jessica lie on Julianna's hospital bed at Stonybrook Medical Center the day before Thanksgiving. Julianna needs a life-saving bone marrow transplant. Newsday photo by Mahala Gaylord.